If you enjoy making videos, working with power point, or vlogging, YouTube is the way to go. You can subscribe to other people’s videos and others can subscribe to yours. You want to do your research and subscribe to the videos that match your topics as a way to hopefully gain more followers. In all of my classes, we have hit on social media platforms and which ones might be right to use for your specific business. That said it never hurts to be on several platforms, but from a business perspective (especially if you’re the only one managing the business) it’s best to manage only a couple of platforms. Managing a couple of platforms saves time, besides there are some great widgets you can use to link your accounts together. A little on YouTube history from Wiki. YouTube was founded in 2005 by Chad Hurley, Steve Chen, and Jawed Karim, who were all early employees of PayPal. YouTube’s early headquarters were situated above a pizzeria and Japanese restaurant in San Mateo, California. 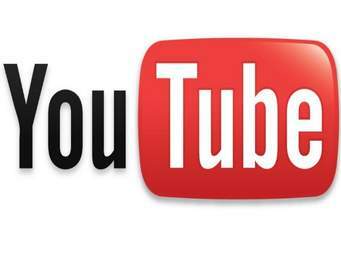 In Dec. 2012 there were over one billion views on YouTube. As far as platforms go YouTube is one of the biggest. According to 2015 statistics. YouTube comes in second at 22.2% to Facebook at 45.4%. AboutTec has a wonderful article on how to use YouTube. As with any of the platforms you use it pays to understand what that platform is about and how it will work for your needs. Remember you have to continually update your platform vlog in order for YouTube to work for you. In other words, if you set it and forget it the platform won’t bring in new likes or subscribers.